Sigmund Danielewicz, Polish radical, early member of the 1st International. From the very beginning there was a thick social barrier between the educated, upper-class, Reform German Jews and the less-educated, working-class, more Orthodox Eastern European Jews. This schism existed in every immigrant Jewish community across America, but in San Francisco the early German Jews for years successfully excluded Eastern Europeans from even settling. Elite, Reform, German, Temple Emanu-el's first rabbi Jacob Voorsanger preached exclusion from the pulpit: "We don't want the Eastern European Jews here. Go back!" His fear was that South of Market would turn into a ghetto like the Lower East Side, and that (like New York at the time) a large influx of Eastern European Jews would mean a rise in anti-Semitism. His hope was that keeping the Jewish community overwhelmingly economically successful, educated, and assimilated (German) would mean greater societal acceptance, and less Leftist Jews rocking the boat. Rabbi Voorsanger went so far as to try to strike a deal with Mexico to settle Eastern European Jews in Baja. Later, he bought a bunch of chicken feed and sent the Eastern European Jews to Petaluma: anything to keep them out of San Francisco. In the Eastern and Midwest United States, the degree of continuity with the Jewish Old World life is still discernible. For example, a New York knish peddler and street musician of the 1980s had their brothers both in the Warsaw of the 1930's and the Lower East Side of the 1890s. Cleveland in the 1930s contained a Jewry almost as variegated as that of Poland at the time, with every shade of political activism, from ultra-Orthodox and Orthodox Zionism to vigorous rivalries on the far-left. However, in the West Eastern European Jews came later, and were primarily second and third generation Americans, divorced from the Jewish culture of the immigrant generation and well acculturated into the American mainstream. The San Francisco Jewish community was marked by far less diversity than was to be found in the East where Eastern Europeans developed the culture of Yiddishket and its supporting institutional network. For example, the established Yiddish theater, which catered to the tastes and tradition of the Jews of New York for a full theatrical season, was represented by road companies in the West where audiences were too small to sustain anything longer than brief appearances. Compared to the East or Midwest, Jewish San Francisco did not have strong socialist, Zionist or Orthodox movements. The exception is the Fillmore in the early part of this century where socialist, labor, Zionist and Orthodox institutions and organizations linked them with their Lower East Side counterparts. Also, during the Great Depression, San Francisco Jews were (along with the Eastern Jews) disproportionately represented in the Communist party. 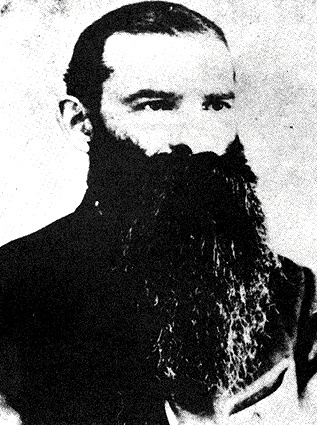 Sigismund Danielewicz battled as a Socialist labor organizer and founded the Sailors' Union before he was ousted for his outspoken defense of Chinese civil rights in the 1880s. Overall, because of the relatively few numbers of Eastern Europeans who often brought with them revolutionary ideas, a strong Jewish Left never grew in San Francisco. Strikingly different to the anarchist, socialist, labor organizers of the Lower East Side, the elite, assimilated German Jews of San Francisco tended to be conservative and fall on the side of capital and management. A strong progressive Jewish presence was not felt in San Francisco until the student and women's movements of the 1960s.